The other day at our ladies’ Bible study we got talking about crime. One of the ladies mentioned that the previous owner of her house faced an intruder. Fortunately, it turned out okay, but that conversation led to thoughts of God and His protection. I noticed Proverbs 1:33 (KJV): But whoso hearkeneth unto me shall dwell safely, and shall be quiet from fear of evil. There are things going on around us that may cause people to fear besides crime. Some people fear the loss of income if they look to the future and consider circumstances that seem stacked against them. Others may fear declining health or the loss of a loved one. Our Bible study is following a book by Lysa TerKeurst which I’ve mentioned before, Uninvited, copyrighted in 2016, published by Nelson Books, Nashville, TN. We’re coming to the end of the book and plan on purchasing another of her tomes in the near future. There are so many good Bible study books out there, it’s hard to choose sometimes. What we liked about Lysa TerKeurst’s book was her vulnerability, the sense of connection, her use of common sense and mostly how she brings us back to God – always. The aforementioned senior praises her use of great vocabulary. Our twenty-something year old member uses some of the phrases the author pens that society is exchanging. Rarely, we have to ask her to interpret for us, or is it from comments the youngest gives that follow the reading time that needs interpreting? Hmm? So, I took a moment to scan and found a page where she mentions BFF, (best friends forever). I’m pretty sure the octogenarian didn’t know what BFF stood for. We all like this cross-generational mixing. After all those years, he finally went home to be with the Lord and she’s learning about widowhood in her latter years. She never talks of being afraid. She tells of how good her church family and her real family are to her. She mentions the local housing that she now calls home and the pool table for the residents, the affordable meals provided in the dining room, etc. The local food bank also brings a truck full of donated items for the residents. 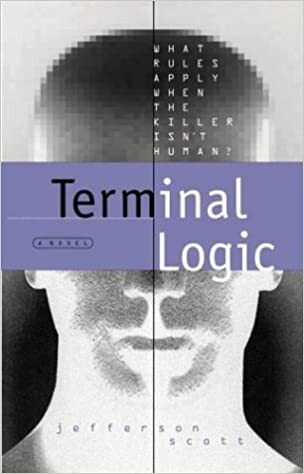 I wrote two blogs last night and then my computer acted up. Sometimes I wonder if maybe that’s a good thing. So, I saved them and filed them and started a fresh topic tonight. How do you find quiet from the fear of evil? Jesus spoke to His disciples a few times saying, O ye of little faith, fear not; or something to that effect. In Matthew 8:23, (KJV), the Word of God tells us: And when he was entered into a ship, his disciples followed him. 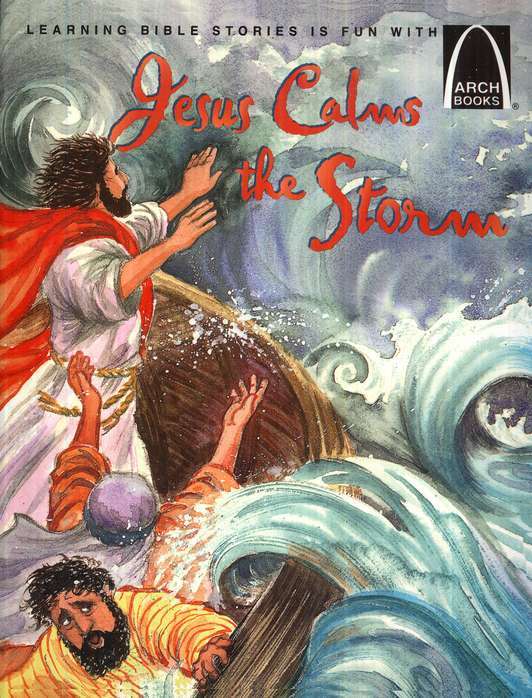 Mat 8:27 But the men marvelled, saying, What manner of man is this, that even the winds and the sea obey him! They feared what they didn’t understand, I think. I told her I did, and then she said that God was going to give me the ability to speak in more than one kind of tongues by the power of the Spirit. Why do we Christians fear what God may ask us to do? Has He not said in 1 Thessalonians 5:24: Faithful is he that calleth you, who also will do it? It comes from this passage in the King James Version: 1Th 5:8 But let us, who are of the day, be sober, putting on the breastplate of faith and love; and for an helmet, the hope of salvation. I remember the first Sunday that my husband was supposed to preach at the church that called him to pastor. The night before, he looked so ill that I began asking him to call someone to fill the pulpit for him. He tends to be healthy and he reminded me that he didn’t know anyone to call. I started telling him that I could just see it, we would wake up, he’d still be sick and I would end up preaching. He didn’t expect that to happen. By the end I didn’t want it to end so soon. Whether it was early or not, I couldn’t tell you. I went from almost paralyzing fear to the joy of connecting with the people over God’s Word. I’ve been asked to speak at women’s groups but never to preach again. I found that God enabled me to stretch and do what I thought was impossible. He continues to lead me to circumstances that I don’t think I want to do nor think that I can do. With His help, they’ve all worked out. To God be the glory! When fear comes knocking, I answer with the Scripture from 2Timothy_1:7 , (KJV): For God hath not given us the spirit of fear; but of power, and of love, and of a sound mind. I’ve literally felt the fear lift off of me when I’ve spoken that Scripture out loud. Our Wednesday morning Bible study had a lady attending who belonged to another church. She used to be a member at our church many years ago and then left. Part of her heart is still with us, so she attended Wednesday mornings for years. This year near the end of the year she backed out because her sister got a life threatening disease and she’s spending more time with her. I miss her because she’s a likable person and she added to the group. Unfortunately, as Christians we may be well aware of our sins and shortcomings and spend more time on them than God may want us to. In the psalms, we are told that God loves us and forgives us. Psa 103:13 As a father shows compassion to his children, so the LORD shows compassion to those who fear him. Once we truly repent, He does not expect us to continually beat ourselves up. He expects us to love ourselves in a healthy way, not a narcissistic way. These verses show God’s high regard for us loving Him and loving ourselves and loving others. Mar 12:29 Jesus answered, “The most important is, ‘Hear, O Israel: The Lord our God, the Lord is one. Mar 12:32 And the scribe said to him, “You are right, Teacher. You have truly said that he is one, and there is no other besides him. Mar 12:34 And when Jesus saw that he answered wisely, he said to him, “You are not far from the kingdom of God.” And after that no one dared to ask him any more questions. So, as I was saying, this lady attended our group and if we got down on ourselves, she would nicely tell us to remember who we are in Christ. We are forgiven. God calls us righteous in His sight because of the shed blood of Jesus for our sins. He took on the payment of our sins so when we stand before God at judgment day, we can claim that Jesus covered our debt or He wiped our slate clean so there’s no mark against us. We must continue to seek God, despite distractions, despite our flesh crying out for entertainment or more money or whatever it is that keeps us from opening the Word of God. Thursday and today I intended to read the Word early in the day. Today it was almost one thirty in the afternoon. I’d done laundry, finished a writer’s magazine, did dishes, got myself ready for the day, called people, etc. My husband and I needed to be somewhere around four and I had to prepare some things before getting there. Plus, I needed to go to the store. I made myself sit down and focus on the Lord. I remember doing that when the children were little. Putting all else aside for a short period of time and concentrating on the Lord. I told them to behave and to be quiet while I spent time with God and they did. When I don’t give time to the Lord the cares of this world press down on me, I feel lonely inside, I may become fearful over things. All those things are alleviated by spending time in God’s Word. Hebrews 4:12, (ESV) For the word of God is living and active, sharper than any two-edged sword, piercing to the division of soul and of spirit, of joints and of marrow, and discerning the thoughts and intentions of the heart. Heb 4:14 Since then we have a great high priest who has passed through the heavens, Jesus, the Son of God, let us hold fast our confession. When the lady at Bible study reminds us that we belong to God by our own choosing, and that He makes us righteous, it always brings a smile to my face and to the others. She hasn’t had to say it a lot, but more than once. We’re praying for her sister to recover and be perfectly whole. I love reading Christian fiction that reminds readers to pray, read the Bible, and also to wait for His still, small voice. 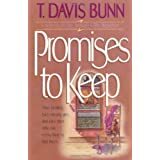 Reading Promises to Keep by T. Davis Bunn, published by Bethany Publishing House, and copyrighted in 1991, it reminded me that I could run myself ragged and be far from following God’s will. After reading the Bible today, I spent a little time in prayer. After I had breakfast and did the dishes, I decided to work on the Dragon Speak software program from Nuance, Company. I’m on a learning curve, but it’s getting better. My husband is watching a movie called, The Ghost and Mr. Chicken. I think I’ll join him. In the Old Testament, it says, “The joy of the Lord is my strength,” in Nehemiah 8:10 in the last part of the verse, (KJV). Don Knotts always makes me laugh. His movies may have a little bit of worldliness in them. This one had a group of women interested in the occult in it, which I forgot about. So, I laughed at his funny faces and enjoyed his courage in the face of danger. But, I was glad to get back to the blog and search the Scriptures for words of importance. God’s joy fulfills, whereas anytime I found enjoyment in shopping, or eating, or sports, or friends, or accomplishments, etc., the good feelings slipped away. Then, I’d go look for something else to do or someone else to talk to. I’ve told my kids that only God really satisfies. That’s been true for as long as I’ve had the privilege of following Him. I got a letter in the mail today. I work part time for a company with multiple sites on occasion. I always answer their survey, willing to work at a few different addresses and then I choose the ones closest to home. I really prefer the location I’ve always worked at, but I sincerely am willing to try other places. When I got the new location for my next assignment, I almost panicked. I thought, What’s up with this feeling? Another thing I reminded myself of is that Jesus said to be anxious for nothing. In Phil. 4:6,7 the (ESV) says: do not be anxious about anything, but in everything by prayer and supplication with thanksgiving let your requests be made known to God. Then I remember the good things God has done over the years in my life. Last night I got thinking about my earthly dad. I told a young man that I waited on in the library that I never went hungry unless I wanted to, growing up. I know that is a blessing. My dad worked hard to provide for his family. King David wrote in Psa 37:25 I have been young, and now am old, yet I have not seen the righteous forsaken or his children begging for bread, (ESV). So, I choose to move along with Jesus, asking Him to help me not to be anxious when changes come. Change is a part of life. I know that, it’s just that I don’t always relax and go with the flow. 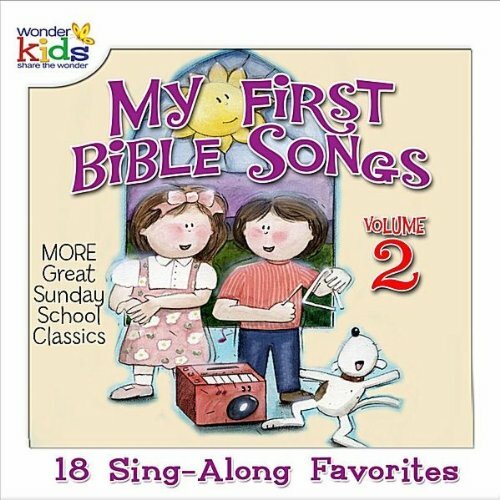 “God’s still working on me,” as I’ve heard children sing many years ago on a tape of songs collected for other kids to sing along with them. 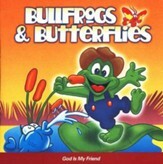 I used to love the high energy of songs on a “Bullfrogs and Butterflies” tape I bought for my little ones. In searching for the “God’s Still Working On Me” tape I noticed that the “Bullfrogs and Butterflies” have been digitally re-mastered from the originals from back in the day. This is from Christian Book Distributors. When my second client needed an ad on e-bay, I had no experience so my sister came to my meeting site. I remember shaking when she was later than I expected and I was trying to navigate in unknown webpages. Don’t get me wrong, e-bay is user-friendly. I charged him less for my lack of experience and he appreciated it. We had a really good time, but there were moments of stress. The three year old was not with his mother. She thought he was with me. We called out and he came bounding around a corner. I appreciated him coming back when he got summoned. I thanked God he was okay. I told my husband I like it when he’s with us, because he’s firm with the children and he’s got that deep male voice and they listen better to him. In regards to my writing, I’ve stepped out and placed ads for freelance writing in our local free paper. I always pray over that as well. I usually get a paying customer and one lady told me she liked my work when I asked her. That blessed me. Even that caused me a little bit of fear, to pose the question. So, the paper comes out tomorrow. I’ll see if anyone is looking for a wordsmith. What do you think, is a small amount of fear a good thing? God encourages us to fear Him – stay in awe of Him. Yet, He is a God of love and wants relationship with us. In John 15:12 – 15 (ESV), Jesus is speaking: Joh 15:12 “This is my commandment, that you love one another as I have loved you. Joh 15:14 You are my friends if you do what I command you. With the Ten Commandments, God lets us know the law. The Ten Commandments are God’s standard for successful living according to His desires, but He knew that no one could measure up to them. So, He asked Jesus to put aside His deity and take on all of mankind’s sins as a perfect sacrifice so people could be set free from shameful behavior and be acceptable to God, the Father. Sin is so reprehensible to God, He wanted to make a way for forgiveness of sins and Jesus willingly came to earth for our benefit. As we look at our neighbor’s spouse or any of their possessions and long for them with such desire that we’d like them for our own, God tells us to be satisfied with what we’ve got. Take those thoughts of longing and put them out of our minds. Focus on our own spouse, focus on our own belongings and be thankful, that’s what God wants. He wants our love. Praise God. Php 4:4, (ESV) says, “Rejoice in the Lord always; again I will say, rejoice. Php 4:6 do not be anxious about anything, but in everything by prayer and supplication with thanksgiving let your requests be made known to God. Then, later in the book, it says in Php 4:10, (ESV), “I rejoiced in the Lord greatly that now at length you have revived your concern for me. You were indeed concerned for me, but you had no opportunity. Php 4:11 Not that I am speaking of being in need, for I have learned in whatever situation I am to be content. Php 4:12 I know how to be brought low, and I know how to abound. In any and every circumstance, I have learned the secret of facing plenty and hunger, abundance and need. God is our provider, He wants to take care of us and He directs us to work for a living, too.